One “doctor” is known by his stage name, Dr. Dre, and is heavily involved in the music industry, a Grammy award winning-rapper, and known worldwide. The other, Dr. Drai, is a board certified osteopathic doctor and OB/GYN in Pennsylvania. Both “doctors” have been involved in a trademark dispute over the rights to use their name. The Pennsylvania OB/GYN wanted to trademark his name Dr. Drai for medical educational and entertainment services, health care consulting, and related books. However, Dr. Dre, the music icon, was not happy with this and tried to prevent Dr. Drai from getting a trademark for his name because Dr. Dre believed consumers would be confused between to two doctors. However, the Trademark Trial and Appeal Board (TTAB) dealt a blow to Dr. Dre. The TTAB evaluated various factors in determining the likelihood of confusion between the marks. Frist, TTAB found that the marks Dr. Dre and Dr. Drai were similar and weighed in favor of a finding of consumer confusion. Next, TTAB evaluated the strength or fame of the prior mark. However, Dr. Dre’s mark was found to only be famous in connection with music—not the medical field. Crucial to the determination of different services was that Dr. Drai would use his mark in connection with osteopathic medicine, obstetrics and gynecology—areas that are completely different than Dr. Dre’s area—music. Therefore, the Board found that the goods were not related. So, this factor favored the Pennsylvania Dr. Drai. The Board concluded that there is no likelihood of confusion between Dr. Dre and Dr. Drai. Even though the marks might be similar, the goods and services offered by Dr. Dre (music related) and Dr. Drai (medical related) are too different and outweigh any similarity in appearance. Amazon has a service called “Amazon Brand Registry” that helps your company protect its registered trademarks for products you sell on Amazon. To enroll in Amazon’s program, your company will need to have its trademark registered with the United States Patent and Trademark Office. Once your trademark is enrolled in the Amazon Brand Registry, you will have access to Amazon’s search and report tools to help you find listings that make unauthorized use of your registered trademark. Content can be searched across various Amazon stores. Image searches where you can find listings on Amazon that use your company’s logo or image of your product on a listing that is not yours and bulk ASIN searches to search in bulk for potentially infringing content are available to you. In addition, a feature called “Transparency” offers item-level tracing for products. You may assign unique codes to each product you manufacture that Amazon will then scan for at its fulfillment centers to ensure no counterfeit products are being sold to consumers. If you find infringement, Amazon will investigate and will most likely take action within eight hours. In addition to your trademark being federally registered, your company will need a Vendor or Seller account on Amazon. Once the necessary information is submitted to Amazon, Amazon will contact your trademark lawyer to complete the enrollment process. Not only does being registered in the Amazon Brand Registry help prevent infringement, but you will gain greater access to your product detail pages to ensure accurate information is listed. Contact us if you would like to discuss your company using Amazon’s Brand Registry. Do you have an advertisement for your goods or services (including trademarked goods/services) in which they are compared to those of a competitor? Is one of your competitors comparing your goods/services to theirs? That is comparative advertising, and it is generally permissible. However, all comparative advertisements must be truthful and must not be deceptive. Truthful comparative advertisements are beneficial to consumers and can help them make good purchasing decisions. In short, if you want to create a comparative advertisement and avoid any pitfalls, be honest, accurate, and truthful. Comparative advertisements usually highlight measurable characteristics between goods/services, such as price. However, other metrics can be used, including comparing speed of service, better taste, quality of product, etc. in comparative advertisements. Comparative advertisements are governed by a variety of regulations and laws. However, the main ones are The Federal Trade Commission Act (FTC Act) and Section 43(a) of the Lanham Act (15 U.S.C. 1125(a) (aka the “Trademark Act”)). Your advertisement may attack or criticize a competitor’s goods/services as long as your statements are truthful and not deceptive. So, your comparison could be literally true, but it cannot be deceptive. To avoid deceptive comparisons, do not omit facts that may mislead a consumer who then makes a decision based on your misleading statement. Truthful comparative advertisements can help maintain a strong brand in your trademark. There are multiple avenues to take when another company is improperly comparing its goods/services in a comparative advertisement. Demand letters (including takedown requests) may be sent to both the company with the comparative advertisement and its web hosting provider or outlet where the advertisement is displayed. You may file a complaint with the FTC, but this is usually only beneficial if there is a large amount of consumer harm instead of just a dispute between two competitors. If you have national advertisements and meet certain criteria, you may file a complaint with the National Advertising Division of the Council of Better Business Bureaus, Inc. Finally, you may file a complaint in Federal Court under the Lanham Act (aka the “Trademark Act”). You may be entitled to injunctive relief (to stop the false advertiser from continuing to display the comparative advertisement during the case—and possibly even the display of your trademark) and/or for monetary damages to be awarded. In general, the party seeking monetary relief must prove that actual consumer deception or confusion occurred due to “material” statements or omissions in the comparative advertisement that caused actual harm. At Lilenfeld PC, we can work with you to protect your company’s brand and trademark by getting an opposing company to stop using a deceptive comparative advertisement. We also can defend your comparative advertisement and trademark against another company if you received a demand letter or if a lawsuit was filed against you. If you have any questions or would like a consultation, please contact us. Lilenfeld PC’s Client won attorneys’ fees that the opposing party (who lost at summary judgment) must pay in a copyright infringement case. Our Client, who was one of the Defendants, had the case dismissed without the need of a trial. (See our April 17, 2018 blog post, Lilenfeld PC Client Wins Complex Copyright Infringement Case Without Going to Trial). The Court evaluated the factors relating to whether attorneys’ fees should be awarded and found that the Plaintiff’s copyright infringement claims were frivolous and not objectively reasonable, partly because we succeeded in convincing the Court that the Plaintiff failed to produce actual blueprint/house plans. This failure made it impossible for the Court to determine what part, if any, of the Plaintiff’s plans deserved copyright protection. Also, the Plaintiff could not prove that our Client’s plans were “substantially similar” to its own plans. The Court also found that the Plaintiff had at least questionable motivations due to the lack of merits of its copyright infringement claim and the fact that only a single homeowner and contractor were involved, suggesting small actual damages. Lilenfeld PC’s Client prevailed in a complex copyright infringement lawsuit. Our Client was able to win be prevailing on “summary judgment,” meaning the copyright infringement case did not need to go to trial. After reviewing the evidence and the legal issues, Judge Story of the Northern District of Georgia, decided our Client should prevail as a matter of law. David M. Lilenfeld and Kaitlyn A. Haase conducted oral arguments on our Client’s motion for summary judgment in November 2017. The opposing party had accused our Client of infringing the copyright in blueprints/house plans. However, the opposing party had not properly registered its plans with the United States Copyright Office. Lilenfeld PC convinced the Court that the opposing party could not prevail in its copyright infringement claim as a result of the blueprints/house plans not being properly registered. Lilenfeld PC was also able to convince the Court that our Client’s blueprint/house plan was not “substantially similar” to the blueprint/house plan the opposing party claimed was infringed. The Court agreed with us that there were so many differences between the respective plans that they could not be “substantially similar” under United States Copyright law. In addition to dismissing the lawsuit, the Court has ordered the opposing party to pay the costs our Client incurred to defend this lawsuit. Kaitlyn A. Haase has been selected to the 2018 Georgia Rising Stars list. Each year, no more than 2.5 percent of the lawyers in the state are selected by the research team at Super Lawyers to receive this honor. Super Lawyers, a Thomson Reuters business, is a rating service of outstanding lawyers from more than 70 practice areas who have attained a high degree of peer recognition and professional achievement. The annual selections are made using a patented multiphase process that includes a statewide survey of lawyers, an independent research evaluation of candidates and peer reviews by practice area. The result is a credible, comprehensive and diverse listing of exceptional attorneys. The Super Lawyers lists are published nationwide in Super Lawyers Magazines and in leading city and regional magazines and newspapers across the country. Super Lawyers Magazines also feature editorial profiles of attorneys who embody excellence in the practice of law. Congratulations Kaitlyn!! I constantly see companies being misled into hiring the wrong lawyers for trademark and copyright disputes. Trademark and copyright are highly specialized areas of the law and can easily be mishandled. Unfortunately, many lawyers mislead clients into thinking they have more trademark or copyright dispute experience than they actually have. As of today, I have four different cases in which the opposing parties’ attorneys are mishandling their cases. While this is good for my clients, the opposing parties are unknowingly in jeopardy – not only will they lose their cases but they may end-up being responsible for paying my clients’ attorney fees. If a lawyer tells you he/she has trademark or copyright litigation experience, you should ask for a list of all trademark or copyright cases they have handled. A lawyer who has been honest with you about his or her experience will not be insulted by this request. You should also use the below steps to verify the lawyer has sufficient experience. If you need to hire a trademark or copyright lawyer for a lawsuit (aka a trademark or copyright litigator) you should ask the lawyer for a list of trademark lawsuits he or she has handled. A lawyer can easily produce a list for you by accessing PACER (the Public Access to Court Electronic Records). If a lawyer will not do this for you, be careful. Non-lawyers can also conduct their own limited searches on PACER. Note that the federal courts code trademark lawsuits are under the number “840” and copyright lawsuits under “820” – so look for those codes. If you need help assessing your lawyer’s trademark or copyright experience, feel free to email me: David@Lilenfeld.com. On July 18th, 2017, Lilenfeld PC, won a jury trial in a trademark infringement action. The trial was in the United States District Court for the Northern District of Georgia for Fronto King LLC, a marketer of whole tobacco leaves under the brand Fronto King. 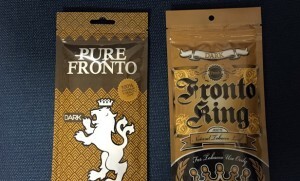 Fronto King sought an injunction and a monetary award against the Defendants (Five A Trading, Inc. d/b/a A to Z Wholesale and New Generation Imports, LLC), who used a product package design that was similar to the package design Fronto King began using years earlier. David M. Lilenfeld and Kaitlyn A Haase conducted the two-day federal trial for Fronto King. Fronto King is the leading brand of high-quality tobacco leaves used to wrap hand-rolled cigars – an increasingly popular hobby in the U.S. While the jury deliberated, Lilenfeld and team offered a settlement of $150,000 to the defense, in which no response was received. Less than 45 minutes later, the jury came back with a verdict. 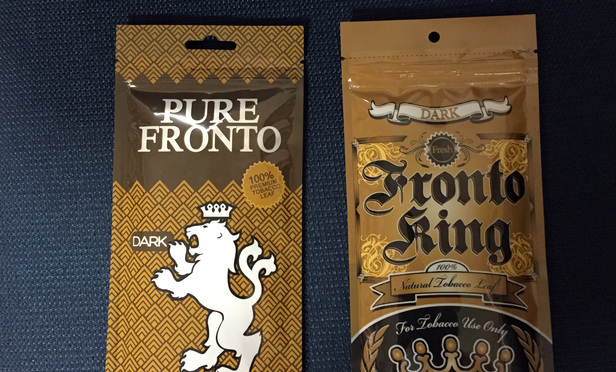 Having found that there was a likelihood of confusion between Fronto King’s package design and the package design adopted by the Defendants, the jury awarded Fronto King $21,400 in damages plus disgorgement of Five A Trading’s $250,000 in profits. From Fronto King’s perspective, the most important part of the trial’s outcome is that the Defendants can no longer use their confusingly similar packaging.